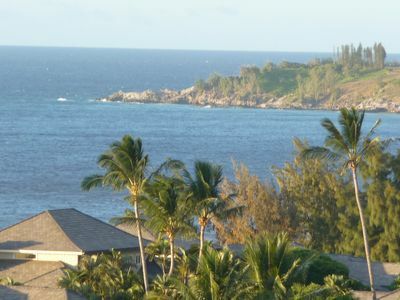 Kapalua - a destination resort with FREE Shuttle Service throughout the 22,000 acre resort. 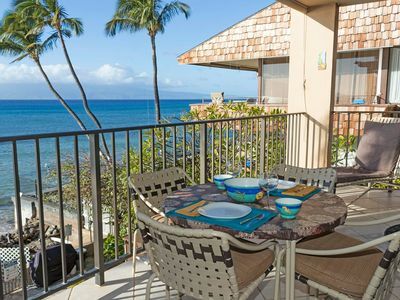 Our Ridge Villa has sweeping views of the Pacific from Molokai to Honolua Bay. 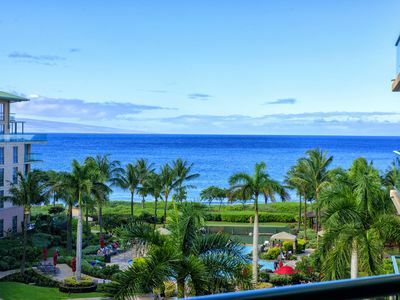 We are steps from beaches and walking distance to beaches voted best in the world, snorkeling, surfing, The Ritz Carlton, world class restaurants, church, tennis and walking or a free shuttle ride to 2 championship golf courses. PGA season opens here (former Mercedes Championship). 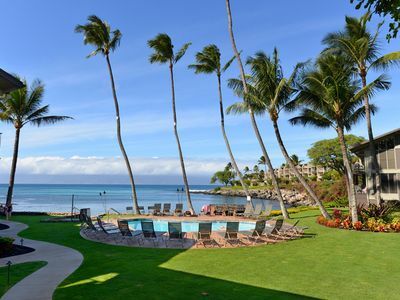 DISCOUNTED GOLF ON KAPALUA COURSES. Our villa has a spacious dining room with a Teak dining table seating 6 to 8 easily (we had 10 for Thanksgiving), a spacious living room with a built in queen size Murphy bed, and a fully equipped kitchen (including margarita, wine & martini glasses, shaker, champagne flutes, Keurig coffee maker, regular drip coffee maker, large crock pot, rice cooker), microwave, ice maker, dishwasher and granite counters. Our air conditioned king size master suite has a TV, Blu Ray DVD, and a safe that will store a lap top and/or your iPad, wallet & jewelry. The master bath has two sinks - for him and her, large shower and hair dryer, and chair height toilet. 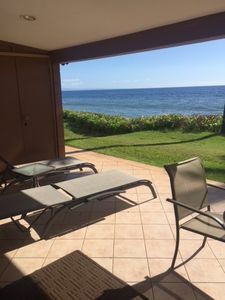 There is a small secluded patio off the master bedroom. The second bathroom has in addition to the shower, sink, & water closet with chair height toilet, a full size clothes closet, full size washer/dryer, soap, an ironing board, iron, a hair dryer and - oh no a scale!!! We have original works of art. 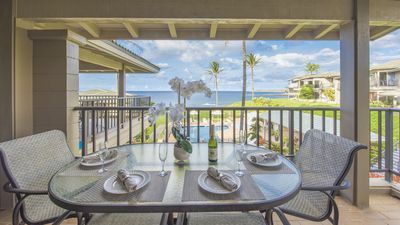 Our Lanai boasts two chaise lounges and a Bistro table for enjoying your morning coffee or evening wine and pupus and/or dinner while you watch the whales, when in season. 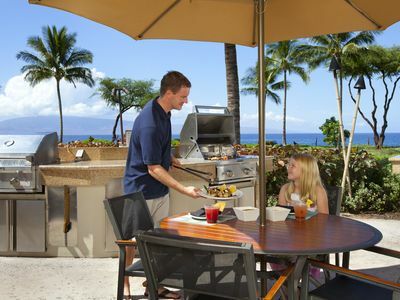 We are steps away from the Ridge community center, that can be reserved (we held our niece's rehearsal dinner for 30 here) This is where one of 2 pools is located, and two large barbecues, refrigerator, stove, sink, soda machine, books to read. 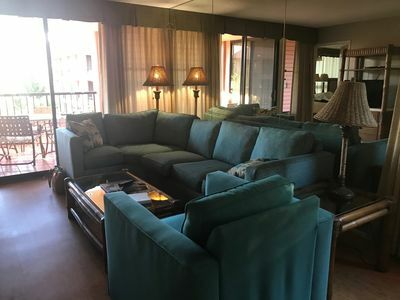 The living room has a 42' flat screen HDTV, DVD/CD player, free wireless. We have unlimited long distance calling in the US. There are 10 tennis courts and full pro shop, not to mention the Golf Academy that is within walking distance. 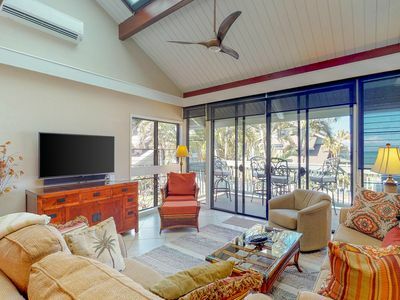 Our villa is spacious (1125+ sq feet) bright and airy and on one level. 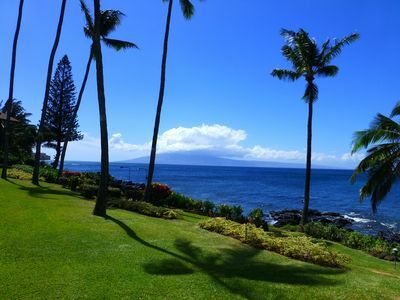 Our wonderful tropical breezes keep it cool. There are beautiful tropical flowers all over our grounds. Parking in our covered carport. Mahalo no smoking, no pets. 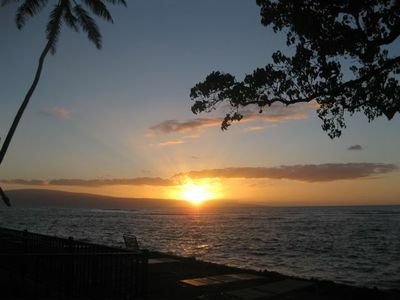 Oh, and if you want surf lessons from the best on the island, let us know. PLEASE NOTE THERE IS A 3% CREDIT CARD FEE PLUS AN ADDITIONAL 2% CREDIT CARD FEE FOR INTERNATIONAL CREDIT CARDS. 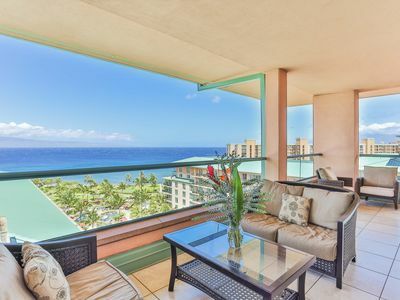 Amazing Views in This Ocean Front 2 Bedroom Condo. 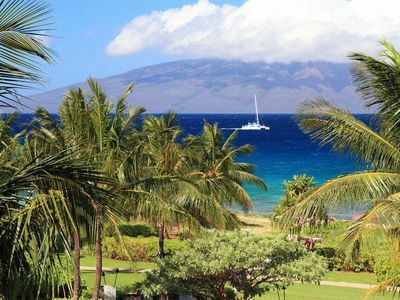 Come to Maui! 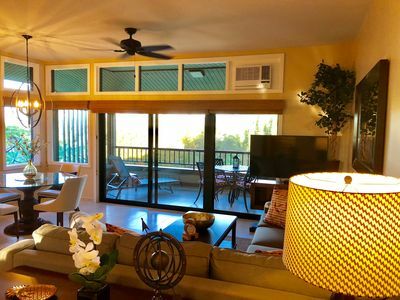 K B M Hawaii: Ocean Views, Extra Large Suite 2 Bedroom, FREE car! 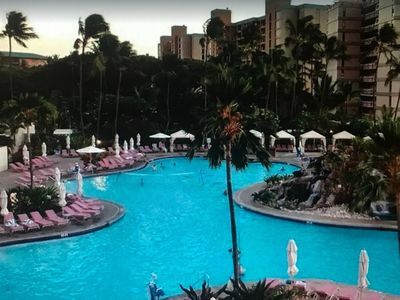 Jun & Jul Specials From only $200! May 11th Sale! 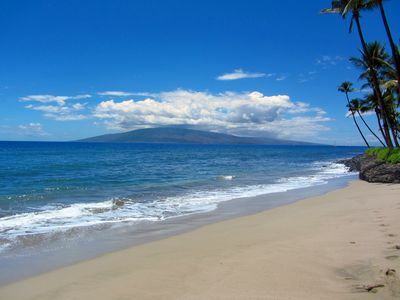 Oceanfront & On The Beach!! 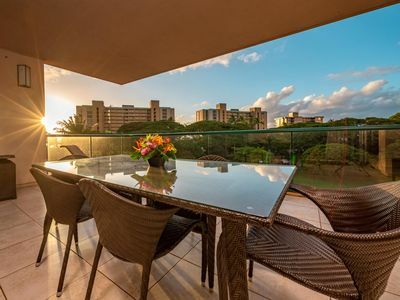 The Mahana -8th floor, 1BR/2bath! 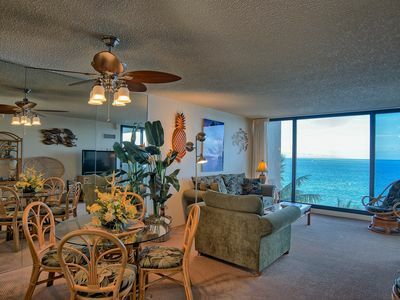 K B M Hawaii: Ocean Views, Spacious Floorplan 2 Bedroom, FREE car! 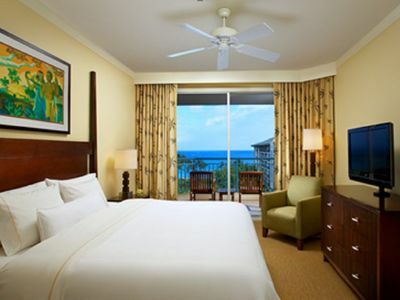 Apr, Jun, Jul Specials From only $251! 176-4 Oceanfront Townhome currently undergoing a remodel. 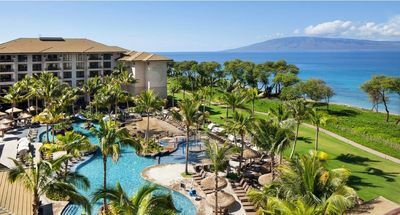 Westin Nanea Ocean Villas 2 BR - 4/6-4/13 Spring Break! 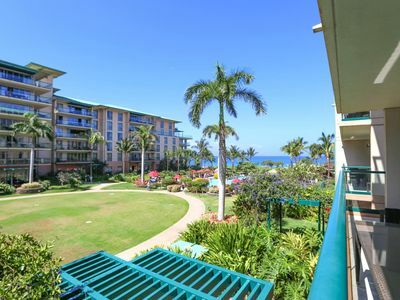 Updated, 2-story ocean view condo w/ lanai & shared pool - walk to beaches!